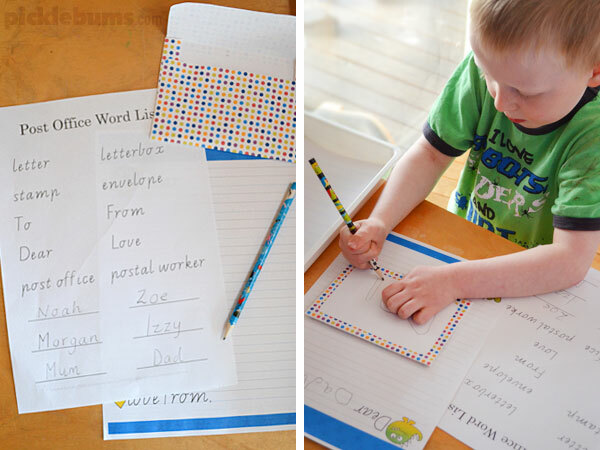 It’s so much fun to get a real letter in your letter box! My kids got a postcard from a relative the other day and that sparked lots of conversation about letters and how they get from one place to another. We chatted about stamps, and how some letters go by plane, and how our postie drives a car but in some places in the city they ride a bike or walk, and somewhere among all of that I promised to make Noah a post office to play with! 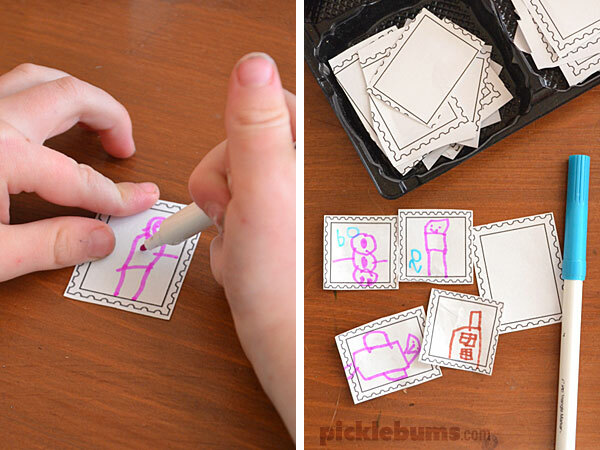 Luckily I have some big kids to help me, so while they were busy collecting items for some post office play I made some post office printables to go with them. The first thing our post office needed was a sign. Noah quickly decorated the sign we so we could display it. Then we needed some mail boxes, so everyone made their very own personalised mail boxes so they were ready to receive some mail! You can’t send letters without stamps, so we all helped to cut out and design our own set of stamps. 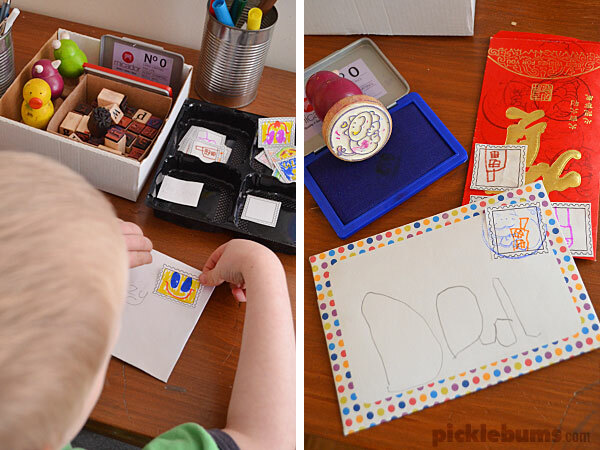 Then we arranged some items for the post office workers – some rubber stamps and stamp pads, some pens and pencils, and some glue for the stamps. The letters get stamped with animal stamps at this post office! We needed a money to pay for the stamps so we used our free printable play money and designed our own currency. 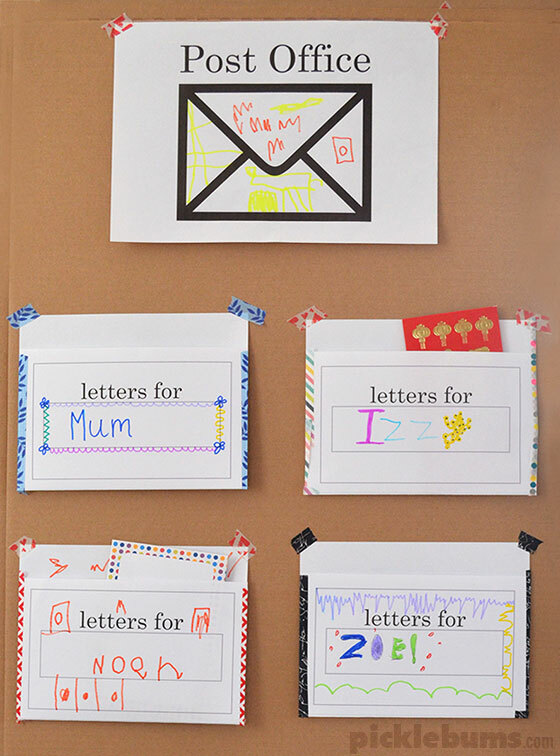 We also needed some envelopes and letter writing paper so we printed out a couple of our letter writing sets – Set 1 with little birds, Set 2 with monsters and Set 3 with bright crazy colours and patterns. And what about some postcards? Luckily we have some printable postcards too. Now we were ready to start writing and sending letters! 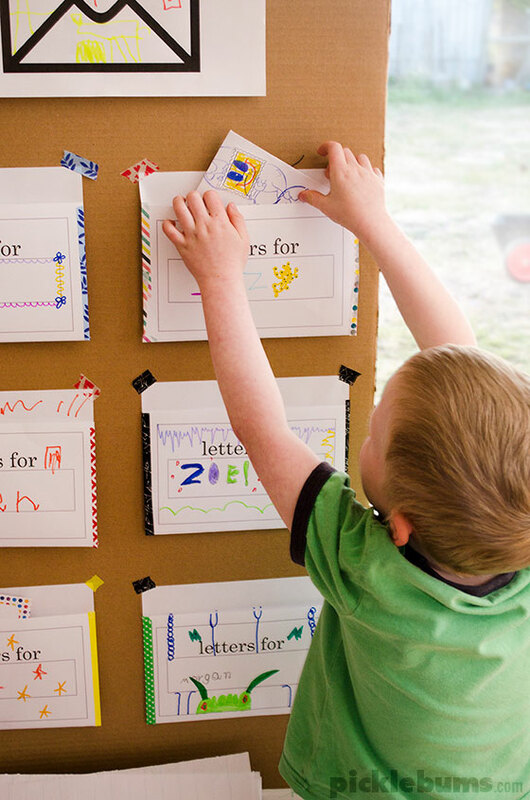 Because Noah is just beginning to write we made a list of some of the common words he might want to use, things like ‘to’ and ‘from’ etc we also added the names of our family members to this list so he could easily address his letters. Over the next hour or two our letterboxes began to fill up with mail! 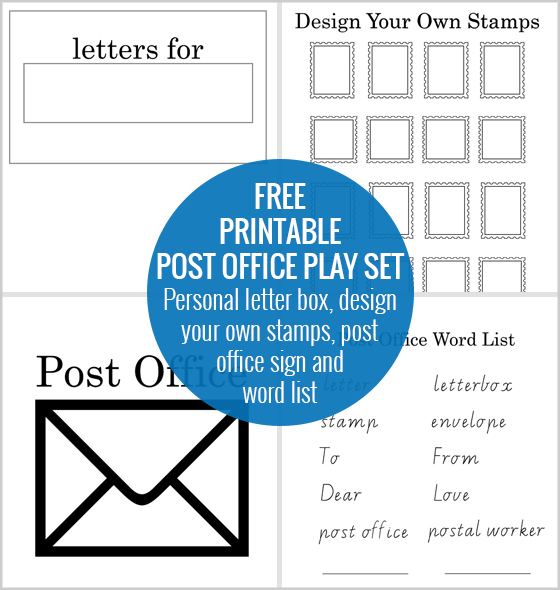 If you’d like to set up some post office play you can download our free printable post office play set here. 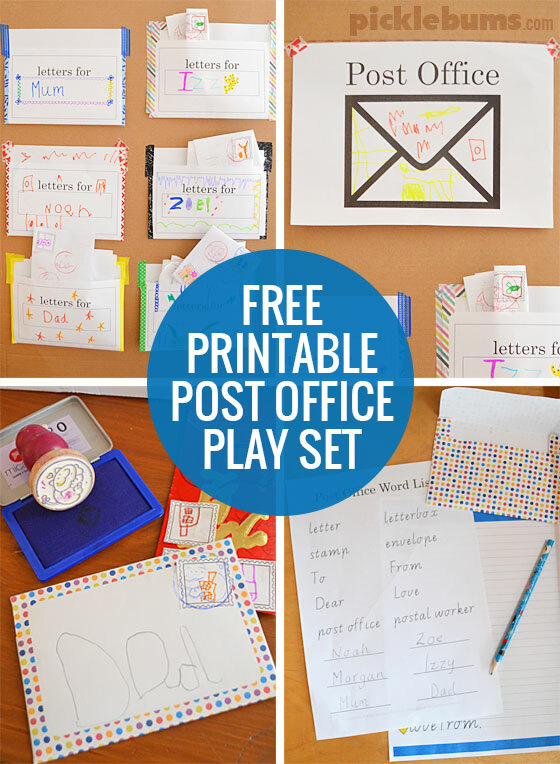 The post office play set includes a personal letter box, design your own stamps, a post office sign, and a list of post office words with space to add your own words. 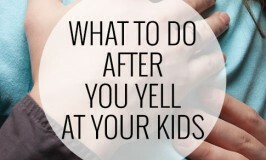 Do your kids enjoy pretend play? What’s their favourite pretend play set up? Forget the kids, I can’t wait to play with this play set myself! 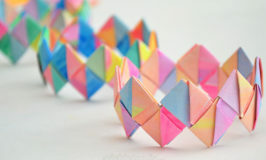 This is a great idea, and with so many components to it, it’s going to keep my daughter and I amused for a long time. Thanks Kate! I have to admit, I’ve loved writing and receiving letters as much as my kids have this week! Have fun! You are too clever! These are fabulous and I love the set up! My girls love having something set up at their desk space in their room.. sometimes a dr, a vet, an office or a hairdresser…. I know what’s next!! 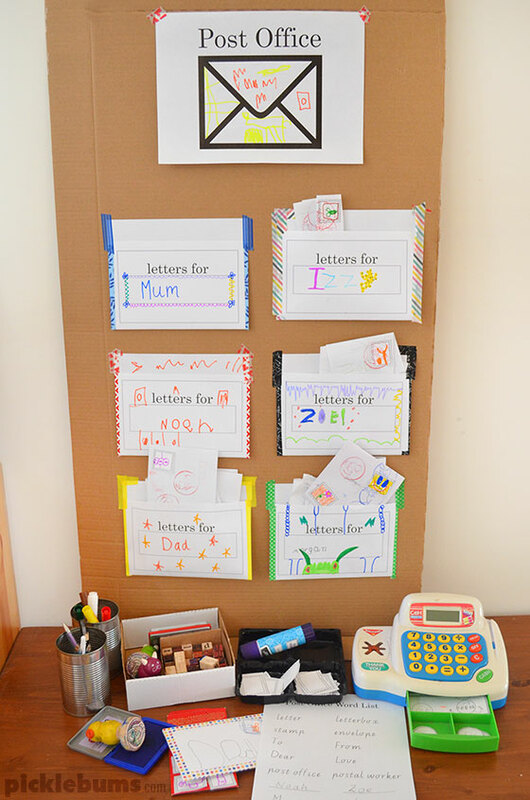 This is such a fun activity, thank you so much for sharing your printable so we can get busy. Awww Bless Kate, This is just funtastic! Looking forward to doing this with my little Grandson who turns 3 this month! ‘THANK YOU’ for taking the time to share this, Hun.